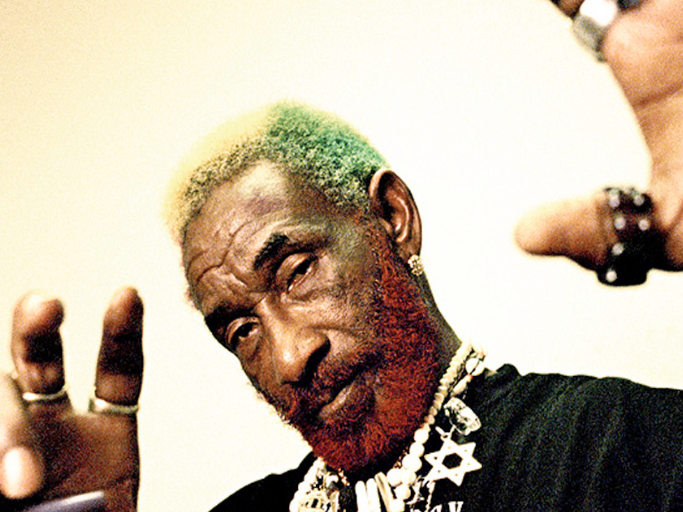 Often considered the father of reggae and dub, as well as an early innovator of sampling, Lee Scratch Perry is a widely revered name in the music world. After releasing a few popular singles in Jamaica in the 1960s, Perry went on to build a backyard production studio, The Black Ark, and began mixing and producing the work of such notable artists as Bob Marley, Junior Murvin and The Heptones. Gaining a reputation for some personality quirks that often caused Perry to have falling outs with many of the people he worked with, Perry eventually let The Black Ark fall apart, claiming to have finally burned it to the ground. This led Perry to focus less on production work and more on music, and after being featured in multiple popular and independent artists' music in the 1980s, Perry began to receive the widespread attention that he still enjoys today.